Officer William F. Roback, Sr.
Reflections for Officer William F. Roback, Sr.
May his soul forever rest in peace. Thank you for your service Officer William F. Roback Sr., and Jr. who has since retired from the Police Force. Officer William F. Roback Sr, served his community from Keanae to Kaupo in the district of Hana, Maui, Hawaii for more than thirty years. He was a great dad and man of his community, he respected those that he served and was likewise respected by all he came in contact with. 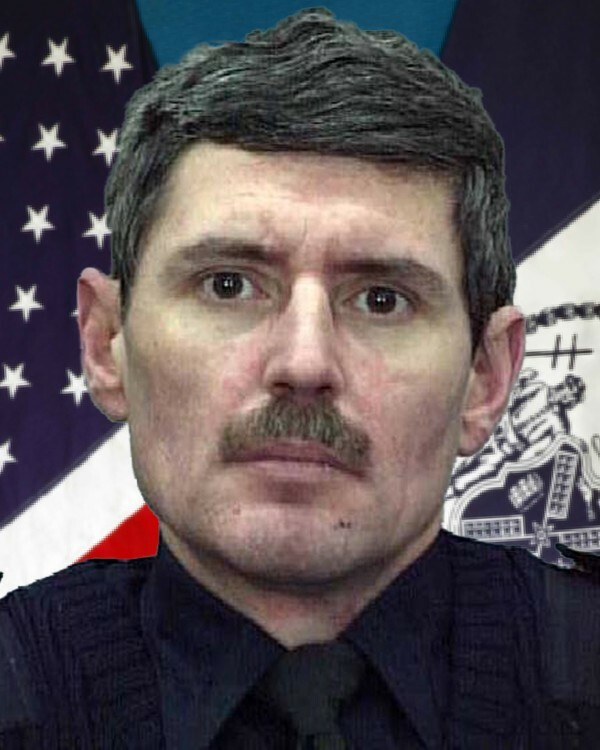 He gave the ultimate sacrifice as a police officer serving his community and people. He loved his family dearly and provided for them without reservations. He put me on the right track, unfortunately, it was after his death that I finally realized what he was trying to instill in me. I became a police officer with the Honolulu then Maui Police Department where I retired after more than twenty years of service. We also lost a cousin Patrick Ihu responding to a false fire alarm as a solo bike officer. My heartfelt mahalo to all those that gave the ultimate sacrifice, may you rest in peace and may Ke Akua keep you in his loving arms. To the Ohana of the fallen officers god bless you and may he keep their memories forever in your hearts. I am William F. Roback Jr.
Are you fortunate to be one that loves someone so dearly yet you never had the blessing to meet them? William F. Roback, Sr. is my grandfather, I love him dearly and I was born after he was taken from us. His strength, honor, integrity and compassion will be remembered always in the service to his community and family. He was a pillar in our community and is memorialized at the William F. Roback, Sr. Hana Maui Police Department. He lives on in our memories through his children, my father William F. Roback, Jr., through my older cousins who were blessed to meet him and his Aloha is left with everyone he has met. My father continued his legacy when he joined the Police Department to serve over 30 years with HPD, MPD and MPD/CIU until retirement. I am very proud to be the grand-daughter and daughter of these fine men who served our communities and kept us safe. We hold annual family reunions where stories are shared about Grandpa and we cling to those memories to feel that connection to a great man who we cherish and love. To all the fallen men and women that serve our communities and country, I appreciate all that you do for all of us and my heart goes out to your families. Thank you for having courage and strength to serve and protect. The Peace Keeper, that is my Grandfather who lived, worked and raised his family ('Ohana) in the small village of Hana on the Island of Maui, Hawai'i. I never met this great man and all the wonderful things he's done for his/our community, but I am proud to be his grand-daughter. Many of the old time villagers shared numerous stories of his dedication and love for the tiny village and keeping the peace is what he strived to do and succeeded which ultimately cost him his life. My father William F. Roback, Jr. is a living role model who is now a retired Police Sgt. for 30 years who carried on the legacy of keeping the peace like my Grandfather those many years ago. To all the Law Enforcement Officers who put their lives on the line each and every day and their families who support them in their civil duty, I commend and appreciate you and thank you for your service to your community. God Bless you and Mahalo Nui Loa. Your heroism and service is honored today, the 54th anniversary of your death. Your memory lives and you continue to inspire. Thank you for your service. My cherished son Larry Lasater was a fellow police officer who was murdered in the line of duty on April 24, 2005 while serving as a Pittsburg, CA police officer. Rest in Peace, Officer Roback. Your sacrifice is not forgotten. On today, the 53rd anniversary of your death I would just like to say thank you for your service and sacrifice for the citizens of Maui County. And to your family and loved ones, I wish to extend my deepest sympathy. Thank you for your service and dedication to your community and your country. You and all officers that continue to lay your lives on the line and pay the ultimate sacrifice to keep our communities and country safe, will NEVER be forgotten. I personally pledge, (after one of Hawaii's own, Honolulu Police Officer Steve Favela, lost his life in the line of duty protecting our Commander in Chief, President George W. Bush), to become a continuum of the "ODMP Light". That light is in the form of an ODMP tribute. People from all walks of life, regardless of age, race, religion, profession, education, and geographical location can share here a word or two on behalf of each and every fallen officer. Every fallen officer is an hero. The ODMP serves as a place where that continuum of "LIGHT" can be seen through and within, the heart and soul of each and every person who honors our fallen heroes with a reflection and/or tribute. As we say in Hawaii, we are `Ohana. We are family. May God comfort the family and loved ones who have lost their beloved William. May God also comfort those who have lost a fellow officer and friend that can never be replaced in this lifetime. I wish you peace and love beyond all understanding. May you rest in peace Officer William F. Roback Sr.
Me Ke Aloha Pumehana. Amen. A TRUE AMERICAN HERO,GOD BLESS YOU,AND YOUR FAMILY,REST IN PEACE MY FRIEND. God bless you for your service and sacrifice. You are not forgotten. William after all of these years you are still remembered as a hero! God bless you sir.